KMAT 2018, Kerala Management Aptitude Test is conducted to provide admission MBA programs offered by top institutes in Kerala. It is held twice in a year to admission for an academic session. KMAT Kerala Exam 1 was conducted on 4 February 2018. KMAT Kerala Exam 2 has been conducted on 8 July 2018. KMAT Kerala is conducted by M.G University and supervised by the Admission Supervisory Committee & Fee Regulatory Committee for Professional Colleges of Kerala. All the graduates are eligible to apply for KMAT. The exam centre for KMAT Kerala will be located in all the districts of Kerala. Latest Update: The KMAT 2018 Kerala Result has declared on 12 July 2018. The link to download KMAT Kerala Result and KMAT Score Card is given on this page. Age: There is no age limitation for applying to KMAT Kerala. Academic Qualification: The candidate must have graduation degree in any discipline or equivalent from any College, University or Institute which is recognised by the Government of India. 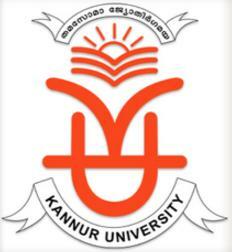 The candidates who are in the final year of their graduation can also apply for KMAT Kerala. Firstly, the candidate has to pay the application fee. Secondly, Login and fill the KMAT Kerala Application form. The candidates can apply only through online mode. Candidates need not send the application form or any other document, however, the candidates are advised to take the printout of the application form for future reference. Admit card is a mandatory part of any test exam so candidates who have submitted the application form for KMAT must be updated for the schedule related to the exam and admit card.KMAT admit card will contain Name of the candidate, Date of Birth, Roll Number, Exam Venue, Time and Date of Examination, Candidate’s Scanned Photograph, Candidate’s Scanned signature etc. Step 3: Scorecard of KMAT Kerala 2018 would be displayed on the screen. Step 4: View the details and download it. Marking: 1 mark will be awarded for every correct answer. There would be 4 sections in KMAT Kerala exam namely – English Language Usage and Reading Comprehension, Quantitative Aptitude, Data Sufficiency & Logical Reasoning and General Knowledge and Contemporary Business Scenario.